Now that the Night of the Roundtable is behind us, the primary campaign is moving into the phase when money and ads will matter more than Jon Huntsman's curious sense of humor or Michelle Bachmann's numerology. Politico had a good piece earlier in the week looking at the looming duel for dollars between Karl Rove's American Crossroads group, which played such a big role in the 2010 midterms and seeks to spend $240 million next year, and the Koch brothers, the backers of Americans for Prosperity and other arch-conservative outfits who plan to spend at least $200 million of their own and others' money. As Politico framed it, the clash between these two liberal betes noires comes down to a strategic divide -- whereas Crossroads just wants to get Republicans elected, the Koch brothers want to lay the groundwork for a long-term conservative hegemony. It's worth pointing out, though, that this duality leaves out another rival for conservative big bucks: the candidates themselves. The new wrinkle in the money chase this cycle -- brought to you by John Roberts and Citizens United -- is the candidate SuperPAC, which can can raise and spend unlimited sums in support of a candidate, well beyond the $2,500 per donor limit for regular contributions to candidates, as long as it is not coordinating its efforts with the campaign. This distinction carries about as much weight as the 55 mph speed limit -- Rick Perry's SuperPAC is being overseen by his longtime friend and former chief of staff Mike Toomey (who, as a lobbyist representing Merck, was the person who urged Perry to mandate the HPV vaccine.) If Toomey's ties with Perry aren't enough to call the 'no coordination' claim into doubt, consider that Toomey also co-owns a New Hampshire lake house with...Perry's chief campaign strategist, David Carney. But that's for the goo-goo types to worry about. More relevant for the money chase is that the candidate SuperPACs are going to be coming to many of the same donors that Rove and the Koch brothers will be -- people like, say, Bob Perry (no relation), the Texas homebuilder who helped fund the 2004 Swift boat ads against John Kerry, but who has also been a major contributor to Rick Perry (Rick Perry did Bob Perry a big favor with the creation in 2003 of a new board to funnel legal complaints against homebuilders away from the courts; in the two years prior, Bob Perry contributed $175,000 to the governor.) 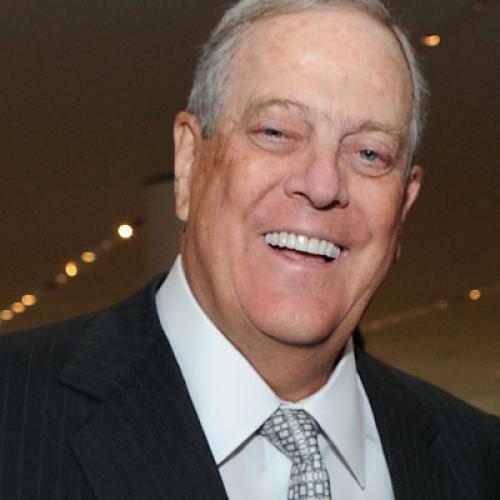 The competition will be particularly fierce among the Koch brothers, Rove and Perry given that they rely so heavily on the same universe of conservative money -- the greater Texas, oil and gas nexus, whereas Mitt Romney and his SuperPAC will be drawing more exclusively from Wall Street. The money rivalry is just another reason for the ill feeling between Rick Perry and Karl Rove, said Mustafa Tameez, a political consultant in Houston. Perry's candidacy "gives Rove heartburn. For him, it's 'he's taking money,'" said Tameez. "All of a sudden a guy who's got the same cell phone area code as you is going to dial the same people. It's just bad for business."